Maharashtra Public Service Commission has released the notification for the MPSC Group C Mains exam 2018. Those Aspirants who has cleared the prelims examination can apply for this posts. 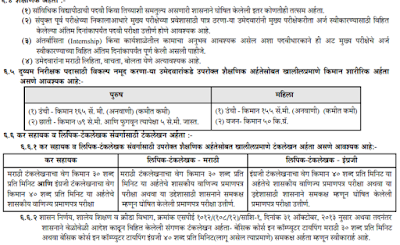 The recruitment is for the 3 posts of Sub Inspector, Tax Assistant and Clerk Typist(Marathi or English) of the total 939 vacancies. Aspirants who has cleared the prelims examination can apply for this posts from 28 August 2018. The last date for submission of online application is 11 spetember 2018. 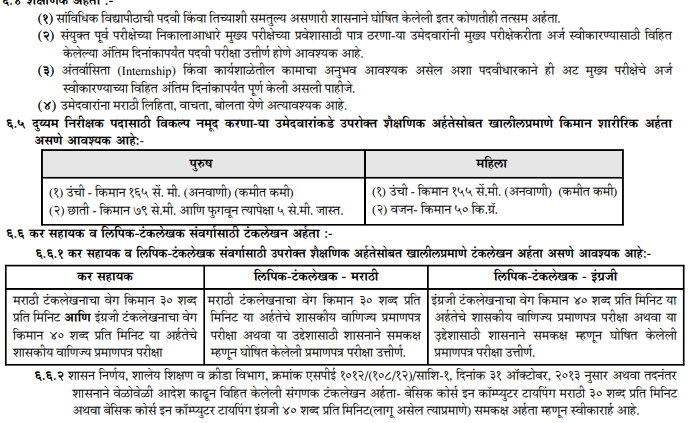 For more information candidates can check the official notification released by the Maharashtra Public Service Commission which we have provided below. महाराष्ट्र लोकसेवा आयोग च्या आस्थापनेवर महाराष्ट्र गट क सेवा मुख्य परीक्षा 2018 साठी अर्ज मागविण्यात येत आहेत. एकूण 939 जागांसाठी अर्ज मागविण्यात येत असून ज्या उमेदवारांनी पूर्व परीक्षा उत्तीर्ण केली आहे त्यांनी 11 सप्टेंबर 2018 पर्यंत अर्ज पाठविणे अनिवार्य आहे. The candidates who has cleared the prelims examination can only apply for this posts and can apply for this posts from 28 august 2018 to 11 september. To apply online for mains examination candidates have to submit their application on https://mahampsc.mahaonline.gov.in the application should be submit as submitted on prelims application, The information should not be mismatched. Thoes candidates who has cleared the all post i.e. Sub Inspector, Tax Assistant and Clerk Typist(Marathi or English) have to apply seperately for each posts and have to pay the seperate examination fees. The examination center for this posts are Auranagbad, Mumbai, Pune and Nagpur.